The authors have done a fine job in pulling together much information on this neglected subject. 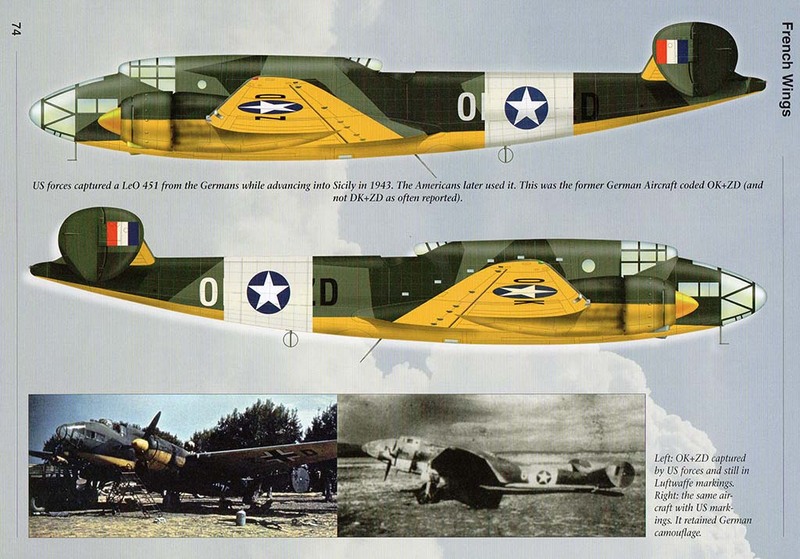 The LeO45 was one of the best French bombers of World War II, and certainly the best-looking, but while an effective aircraft, it suffered from delays to service entry and had little impact on the course of events when the Germans invaded France in 1940. Fernandez and Laureau have put together a nice English-language monograph that covers the development of the type, with a good technical description, and gives comprehensive service and operational histories from 1938 to the 1950s; supported by a nice selection of photographs, the text is very readable. For the aviation enthusiast and historian, there's lots to enjoy here, while the modeler will be pleased with the technical diagrams and interior photos, with the added bonus of a series of fine full-colour profile illustrations. 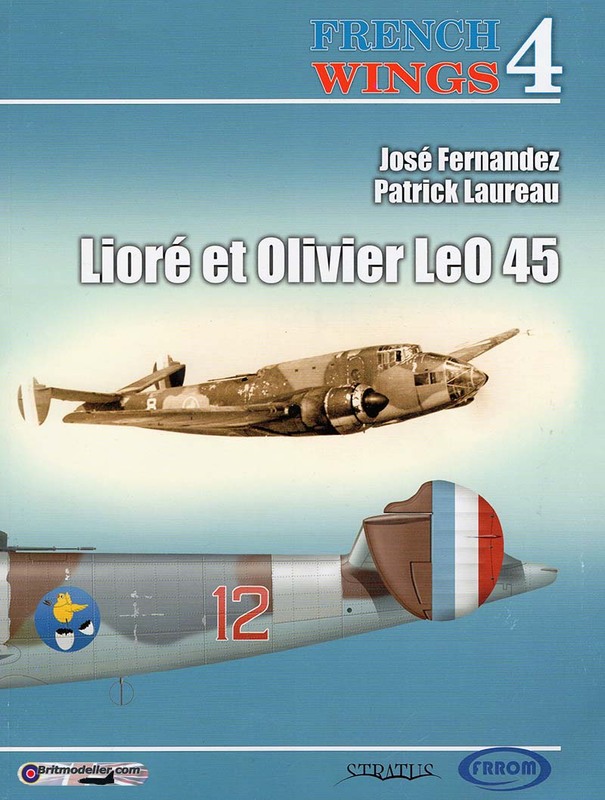 All in all, quite possibly the best English-language book on the LeO 45 and a very nice addition to the library of anyone interested in French WWII aircraft. 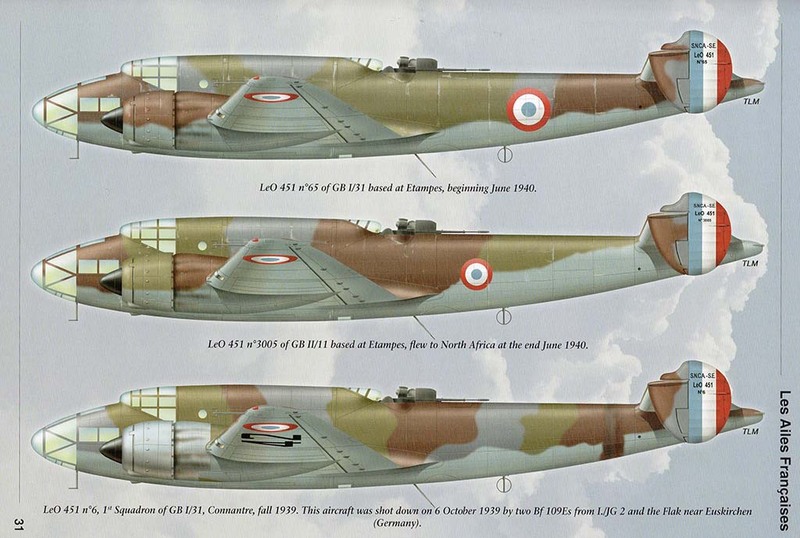 The Lioré et Olivier LeO 45 was a French medium bomber from WWII. The aircraft was an effective bomber however it appeared too late to have much effect on the Battle for France. Even though the first prototypes were built in 1938 the shortage of propellers and the change from the original Hispano-Suiza engines led to only 22 aircraft being delivered by the start of WWII. The aircraft were particularly distinguishable by the large 20m cannon fitted for rearwards defence. 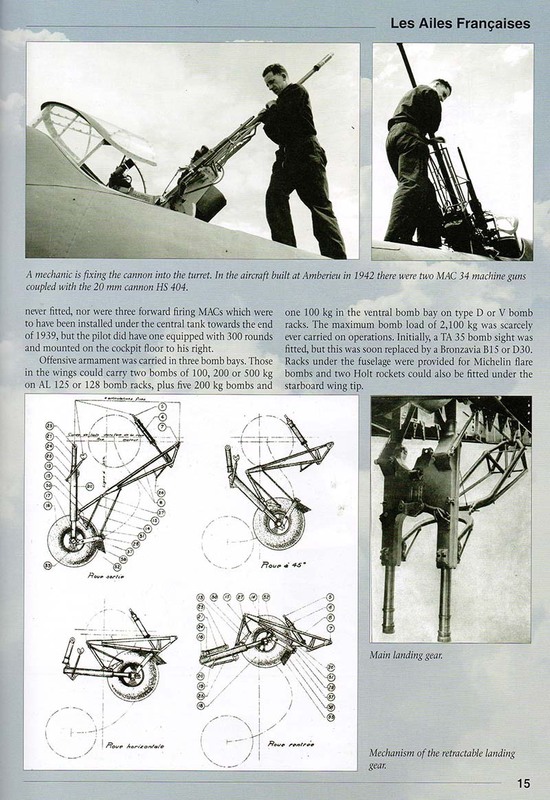 In the end over 400 aircraft were produced and these would be used by the Vichy government. 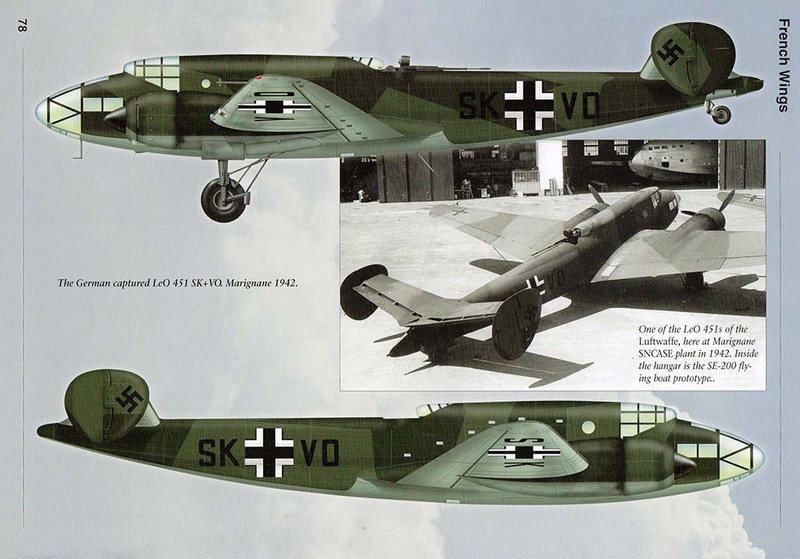 The aircraft were also used by the Luftwaffe though in the transport rather than bomber role. In a strange twist some of these aircraft would then receive American markings over the German camouflage after they were again captured. The book is softback A4 in size with 80 pages. There are a wealth of black & white photographs with 22 pages of colour profiles. The text is interspersed with technical drawings of the aircraft. The text covers Development, construction, combat use (including Vichy use in Syria), captured use, and use post WWII. These books in the French Wings series are excellent give an insight into often forgotten but import French aircraft, and this one is no exception. Highly recommended. very good book but should have been a lot better with a much deeper focus on reconnaissance squadron using this superb aicraft. A lot of good pictures and colour profiles. The LeO 45 series of planes were some of the most modern aircraft in the French Air Force at the beginning of WWII. It was a sleek all metal aircraft with a rather heavy defensive upper turret containing a 20mm canon. It was also built in fairly large numbers and continued to be constructed for Vichy forces after the June armistice. 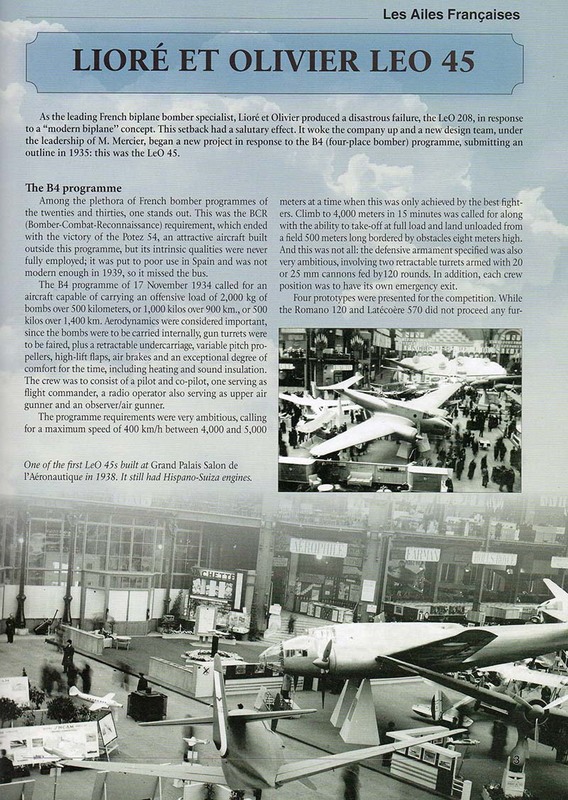 However, and there is always a however when talking about the French aircraft industry of this period, the aircraft suffered from a lack of really good engines and it also had stability issues. The engine situation was never really fixed as it Gnome & Rhône 14 cylinder dual row radials not only never produced a lot of power, but they were relatively unreliable. This became even more of an issue under German occupation as sabotage was frequent, leading to even more reliability problems. Then a factor that affected all French aircraft construction was a lack of outside supplied pieces like propellers, gyros, generators, and so on. It was not unusual to have dozens of LeO 451s outside the factories awaiting these small parts so that the airplane could be finished. Still, it was a lot more modern than the Bloch and Amiot bombers the Air Force had been using up until that time. As a result, the aircraft had a fairly active if not less than totally successful career during WWII and after. It flew many missions during May/June 1940 against both the Germans and Italians. After the Armistice, it participated quite a bit in the British incursion into the Levant and though many aircraft were lost (mostly on the ground and due to equipment failures), they were effective against British forces. They were also used briefly during Operation Torch and later with some Free French units, though reliability and lack of spares resulted in ever decreasing use. After the war, several of the surviving planes were re-engined with P&W 1830s and some were also used as test beds. In addition to the French Air Force, the French Navy briefly used the type and it was used as a transport and liason aircraft by the Germans. The book offers the complete development and operational history of the type, providing the best history of the type I have ever read. The research is superb and there are tons of great period photos. All of this is further enhanced by a bevy of full color profiles as well as some technical drawings showing systems and some close-up images from period manuals. In all, a superlative monograph of the type and one that every enthusiast should have in their library. Review book courtesy of Azur/FRROM. This book is available in the US through through Casemate Publishing and other distributors in other parts of the world.